Industry innovators WiFi SPARK appointed as Grosvenor’s preferred WiFi supplier in wider ambitions to upgrade its London estate’s digital offer. WiFi SPARK has been appointed as the WiFi supplier, for Grosvenor, a privately owned property group active in some of the world’s most dynamic cities. 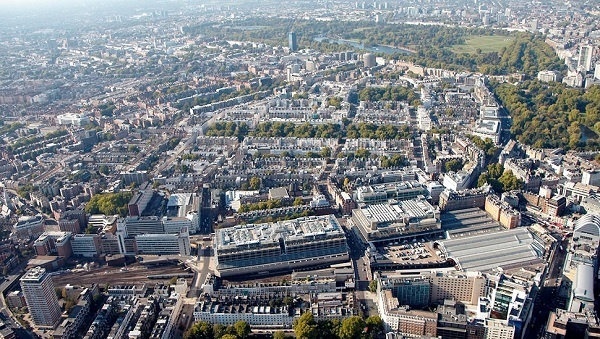 Over the next year Grosvenor will invest in one of London’s largest ‘single estate upgrades’ in broadband, WiFi and mobile connections, partnering with WiFi SPARK, BT Openreach and Ventura Next, as well as the local planning authorities. The upgrade will see residents, visitors and businesses benefitting from new free public WiFi, which is to be piloted this year with the potential to cover half a square mile in the next three years. It will also provide new superfast and ultrafast broadband connections and new 4G mobile connections. Grosvenor hopes to invest around £2 million over the next five years to improve the digital offer of this part of the capital. At present, this part of London is in the five percent worst performing in the country for digital connections. With investment this will see it jump to the top five percent. WiFi SPARK will be providing branded user engagement portals for three key -areas on Grosvenor’s London estate (Motcomb Street, Eccleston Yards and Brown Hart Gardens) that will enable residents, guests and businesses to get online. On the basis these pilots are successful; WiFi access will be rolled out across other key areas over the next five years. The WiFi connectivity will be free to use and will offer superfast Gigabit WiFi speeds and will be across Mayfair and Belgravia. Aside from the WiFi connection, Grosvenor’s digital upgrade plan and ambitions are based on delivering the super fibre broadband (up to 78Mb/s through fibre to the cabinet), and ultrafast fibre broadband (up to 1Gb/s through fibre to the premises) to over 70 percent of its London estate – more than 2,000 properties. Five new 4G masts will be installed in the next three years to improve coverage for all operators and eliminate 4G blackspots. Matt O’Donovan, CEO at WiFi SPARK commented. “The public demand for secure, fast and reliable connectivity is higher than ever. We will be providing superfast Gigabit WiFi making a huge difference to residents and businesses in the area. The fact that the area will move from the bottom five percent to the top five percent in the country in terms of connectivity, highlights just what a change this investment is going to make. “We’re looking forward to working alongside BT and Ventura Next in providing a fantastic best of breed group of complementary technologies that will make a huge difference to the daily lives of residents and businesses in the area,” O’Donovan concluded. WiFi SPARK has extensive experience in supplying outdoor WiFi, enabling the likes of the Queen Elizabeth Olympic Park, the Park Holidays Estate and the Chiltern Railways stations to provide high performance, guest WiFi access as well as offer real return on investment through innovative marketing solutions.